Radiation therapists from the Western Sydney Local Health District have taken part in the recent Relay for Life. 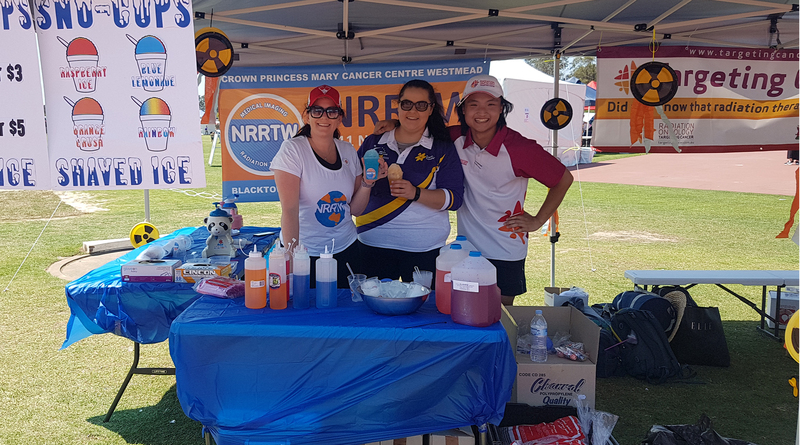 A team of radiation therapists from Blacktown and Westmead Hospital have raised vital funds through the Cancer Council’s Relay For Life program. About 30 therapists took shifts walking the track, making sure at least one person was doing laps for the whole 24-hour period. The team raised an astounding $2225 for cancer patients. A hope ceremony was held to commemorate all that have been affected by cancer and to signify an aim to find a cure for the disease in the future. Lanterns were lit around the track and a lone piper led a commemorative lap. At the end of the lap, a spectacular fireworks display was enjoyed by all. The Western Sydney Local Health District wants to thank all the radiation therapists, partners, children and support crew who participated in this event. If you would like to donate to the Council Council please go to this link. More than $2,000 was raised for cancer patients.